Pushpay’s integration with MinistryPlatform makes it easier than ever for churches to take full advantage of these two world-class platforms. Make digital giving a breeze while maintaining data accuracy through our API integration. Enter your information below to learn more about how Pushpay and MinistryPlatform work together to reach your community. Save time. No import/export or manual-entry required! Pushpay does all the work of matching donations. Keep using the reports you love. Continue to manage your contributions using the same processes you already have. Manage EVERY payment. Virtual Terminal allows digital, cash, and checks payments to be entered into Pushpay and auto-synced with MinistryPlatform. 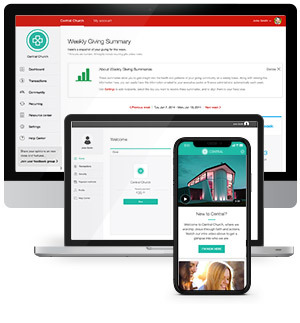 Blending MinistryPlatform’s Data Management Solutions with the simplicity of Pushpay’s mobile giving gives your church the ability to accept, track, and manage donations in the most transparent and uncomplicated system possible.